10 pounds of OpenStack cloud in a 5 pound bag? Do we need a bigger bag? Yesterday, I posted about cloud distruptors that are pushing the boundaries of cloud. The same forces pull at OpenStack where we are working to balance between including all aspects of running workloads and focusing on a stable foundation. Note: I am seeking re-election to the 2015 OpenStack Board. Voting starts 1/12. For weeks, I’ve been reading and listening to people inside and outside the community. There is considerable angst about the direction of OpenStack. We need to be honest and positive about challenges without simply throwing stones in our hall of mirrors. Closing 2014, OpenStack has gotten very big, very fast. We’ve exploded scope, contributions and commercial participants. Unfortunately, our process infrastructure (especially the governance by-laws) simply have not kept pace. It’s not a matter of scaling processes we’ve got; many of the challenges created by growth require new approaches and thinking (Thierry’s post). 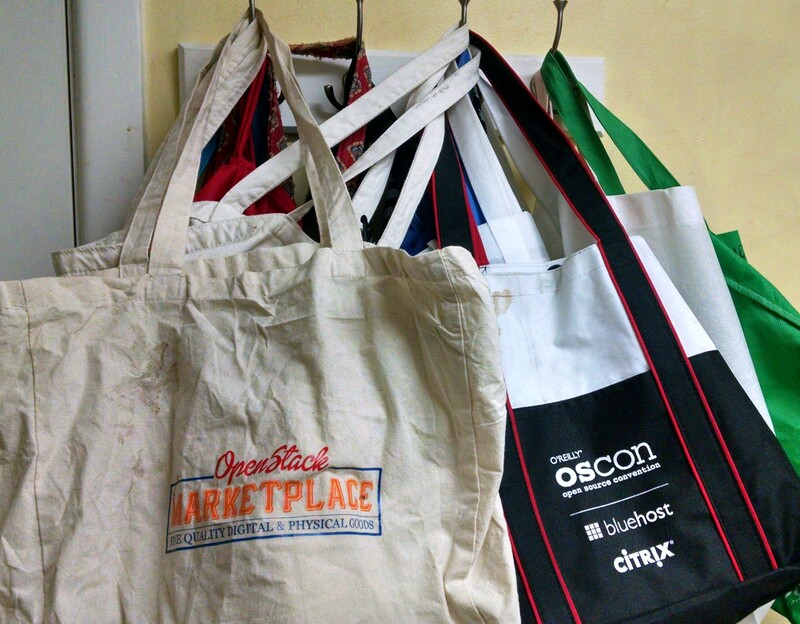 In 2015, we’re trying to put 10 pounds of OpenStack in a 5 pound bag. That means we have to either a) shed 5 pounds or b) get a bigger bag. In classic OpenStack style, we’re sort of doing both: identifying a foundational base while expanding to allow more subprojects. Prioritizing stability as our #1 feature. Accomplishing this will require across the broad alignment of the vendor’s product managers to hold back on their individual priorities in favor of community. We’ve started this effort but it’s going to take time to create the collaboration needed. Sending a clear signal about the required baseline for OpenStack. That’s the purpose of DefCore and should be felt as we work on the Icehouse and Juno definitions. Alignment of the Board DefCore project with Technical Committee’s Levels/Big Tent initiative. By design, these efforts interconnect. We need to make sure the work is coordinated so that we send a clearly aligned message to the technical, operator, vendor and user communities. Accelerate changes from single node gate to something that’s either a) more services focused or b) multi-node. 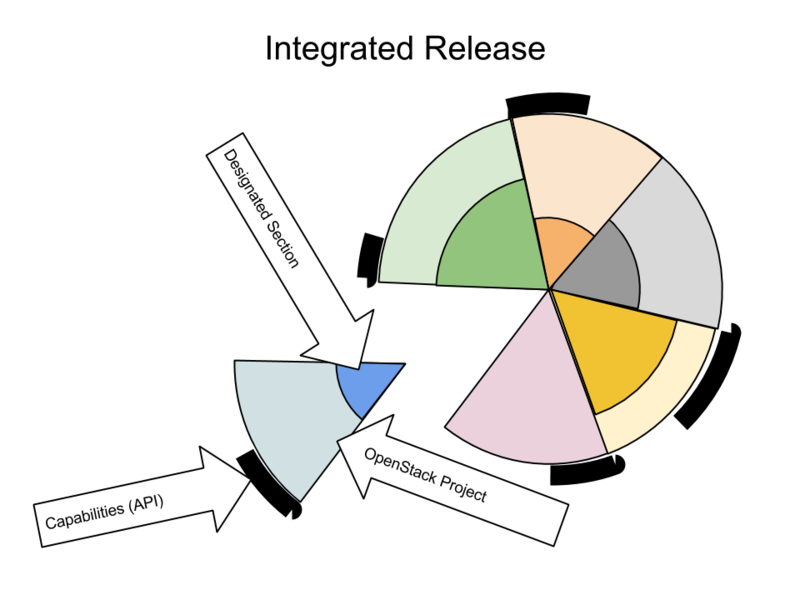 OpenStack’s scale of community development requires automation to validate the new contributions do not harm the existing code base (the gate). The current single-node gate does not reflect the multi-node environments that users target with the code. While it’s technically challenging to address this mismatch, it’s also essential so we ensure that we’re able to validate multi-node features. Continue to reduce drama in the open source processes. OpenStack is infrastructure software that should enable an exciting and dynamic next generation of IT. I hear people talk about CloudStack as “it’s not as exciting or active a community but their stuff just works.” That’s what enterprises and operators want. Drama is great for grabbing headings but not so great for building solid infrastructure. What is the downside to OpenStack if we cannot accomplish these changes? Forks. I already see a clear pattern where vendors are creating their own distros (which are basically shallow forks) to preserve their own delivery cycle. OpenStack’s success is tied to its utility for the customers of vendors who fund the contributors. When the cost of being part of the community outweighs the value, those shallow forks may become true independent products. In the case of potential forks, they allow vendors to create their own bag and pick how many pounds of cloud they want to carry. It’s our job as a community in 2015 to make sure that we’ve reduced that temptation. This post was coauthored by the DefCore chairs, Rob Hirschfeld & Joshua McKenty. The OpenStack board, through the DefCore committee, has been working to define “core” for commercial users using a combination of minimum required capabilities (APIs) and code (Designated Sections). These minimums are decided on a per project basis so it can be difficult to visualize the impact on the overall effect on the Integrated Release. 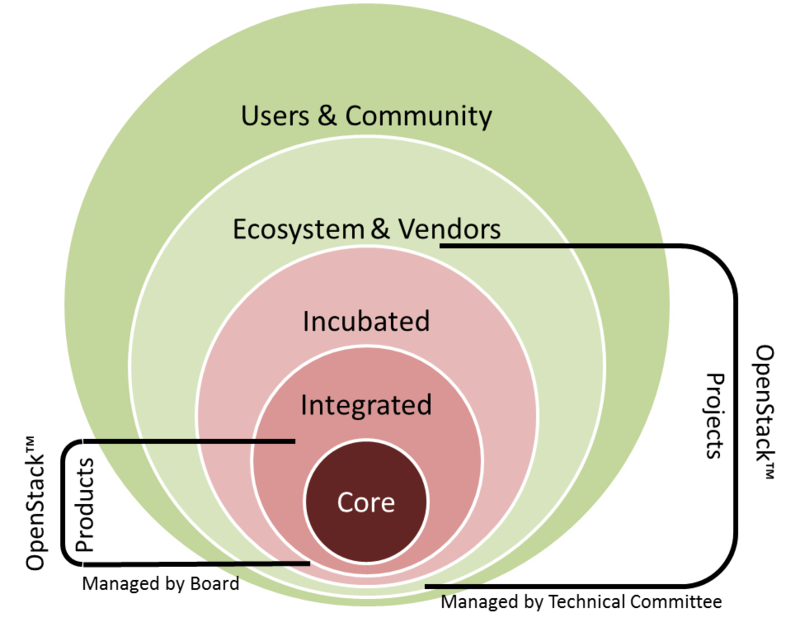 We’ve created the patchwork onion graphic to help illustrate how core relates to the integrated release. While this graphic is pretty complex, it was important to find a visual way to show how different DefCore identifies distinct subsets of APIs and code from each project. This graphic tries to show how that some projects have no core APIs and/or code. For OpenStack to grow, we need to have BOTH stability and innovation. We need to give clear guidance to the community what is stable foundation and what is exciting sandbox. Without that guidance, OpenStack is perceived as risky and unstable by users and vendors. The purpose of defining “Core” is to be specific in addressing that need so we can move towards interoperability. Interoperability enables an ecosystem with multiple commercial vendors which is one of the primary goals of the OpenStack Foundation. Originally, we thought OpenStack would have “core” and “non-core” projects and we baked that expectation into the bylaws. As we’ve progressed, it’s clear that we need a less binary definition. Projects themselves have a maturity cycle (ecosystem -> incubated -> integrated) and within the project some APIs are robust and stable while others are innovative and fluctuating. Encouraging this mix of stabilization and innovation has been an important factor in our discussions about DefCore. Growing the user base requires encouraging stability and growing the developer base requires enabling innovation within the same projects. The consequence is that we are required to clearly define subsets of capabilities (APIs) and implementation (code) that are required within each project. Designating 100% of the API or code as Core stifles innovation because stability dictates limiting changes while designating 0% of the code (being API only) lessens the need to upstream. Core reflects the stability and foundational nature of the code; unfortunately, many people incorrectly equate “being core” with the importance of the code, and politics ensues. To combat the politics, DefCore has taken a transparent, principles-based approach to selecting core. You can read about in Rob’s upcoming “Ugly Babies” post (check back on 8/14) .